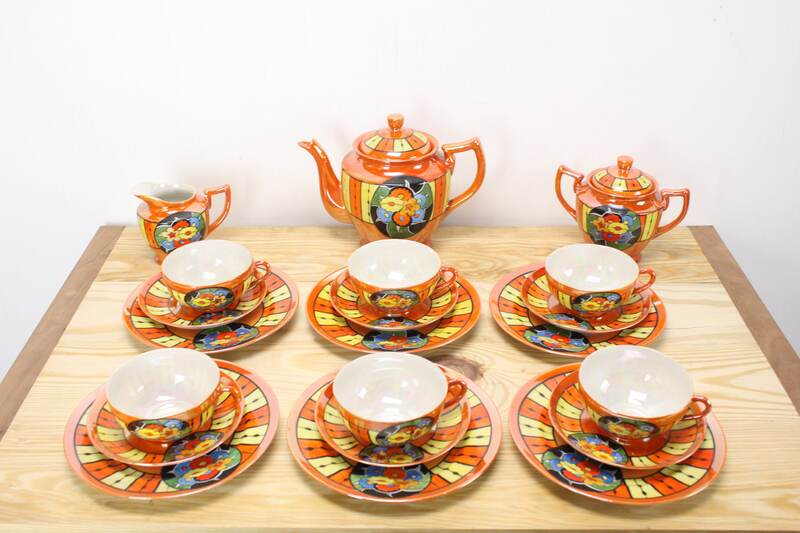 This amazing early 20th century Japanese made fine-bone china tea/coffee set features a colorful, geometric design, Floral Badges & lusterware Lusterware Finish! 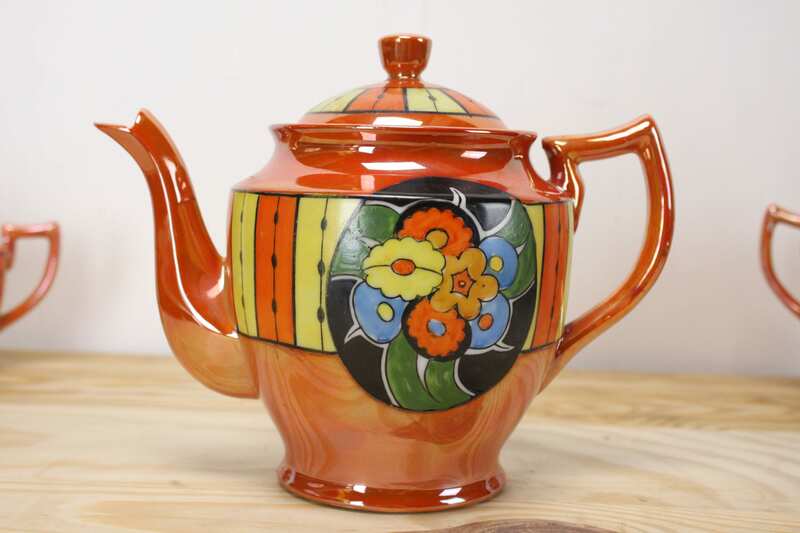 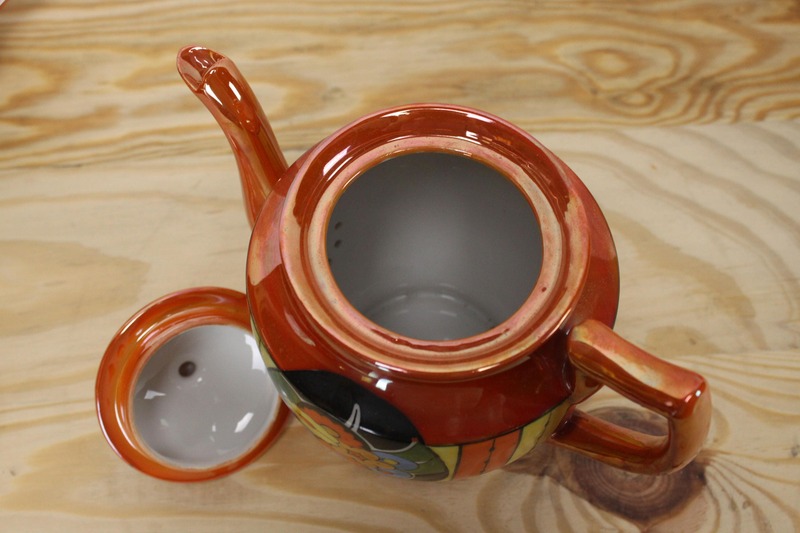 Exceedingly rare, treasured and in excellent condition: 21 Piece Set Tea/Coffee Pot with 6 Cups & 6 Saucers, 6 Dessert plates, Sugar cady & Creamer. 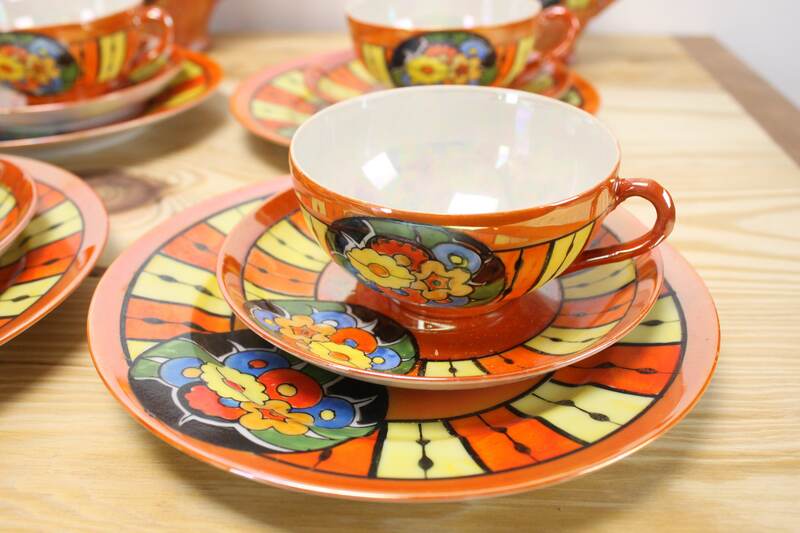 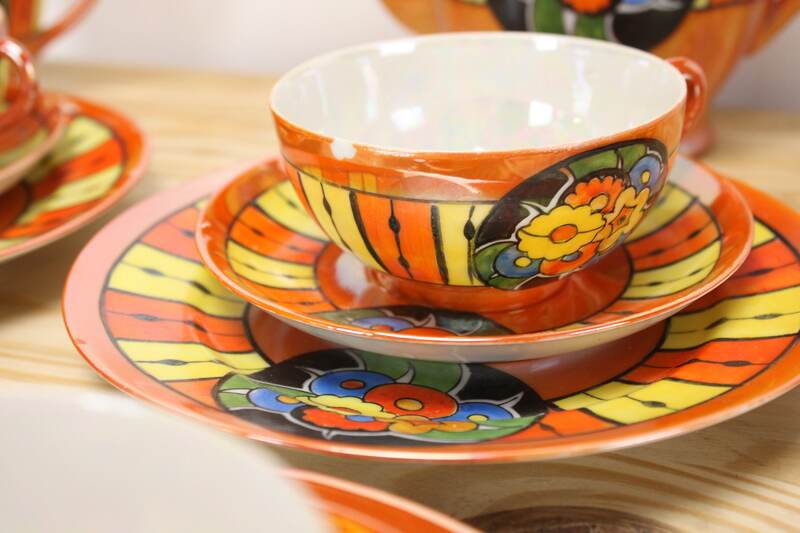 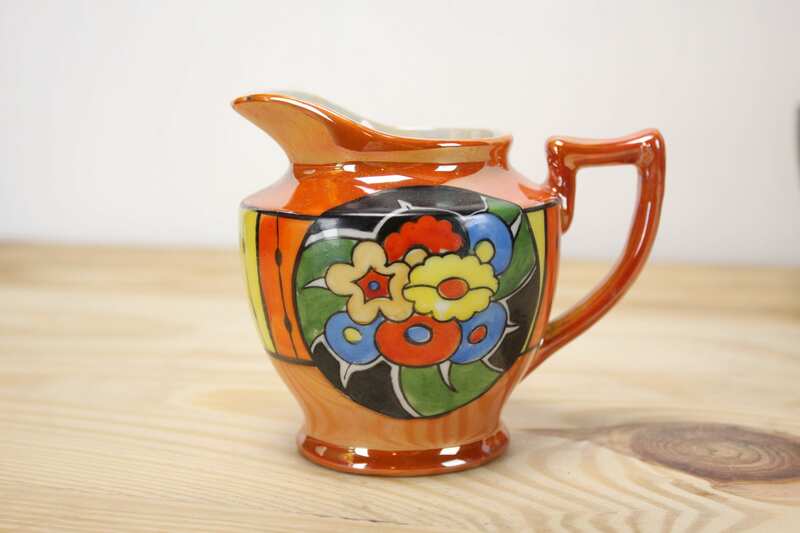 This set features and striking orange and yellow geometric, Art Deco Design lined with black borders and prominently displaying floral badges! 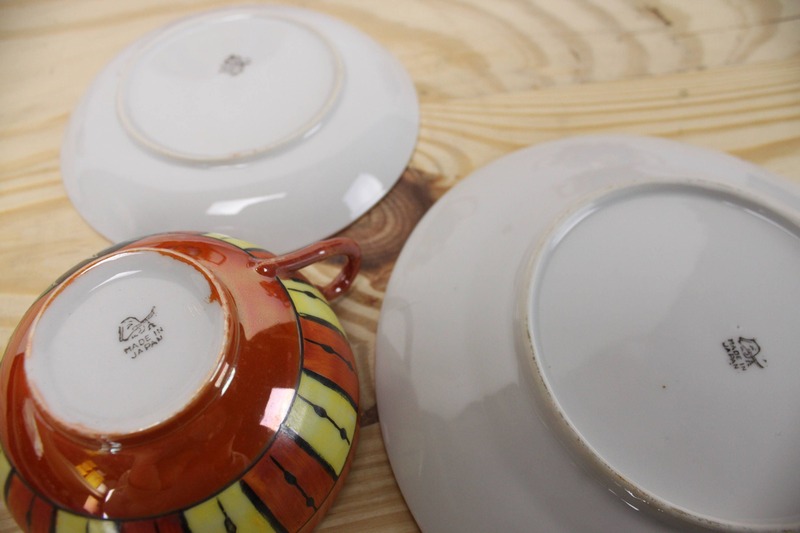 Each piece is marked on the underside with the Tashire Shoten logo and the words "made in Japan". 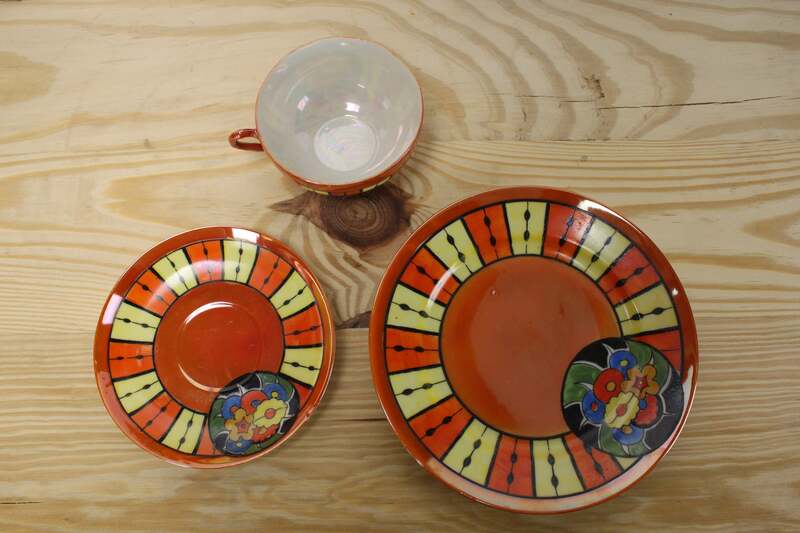 This exquisite set was most likely produced for export in between 1920 and the 1930's. 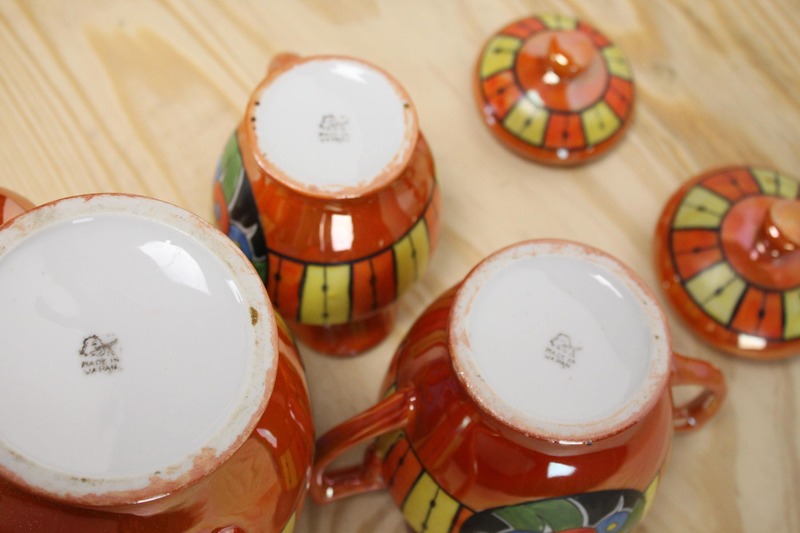 Set contains: 1 tea/coffee pot w/ lid, 1 sugar bowl w/ lid, 1 creamer bowl, 6 tea/coffee cups, 6 saucer plates, 6 dessert plates. 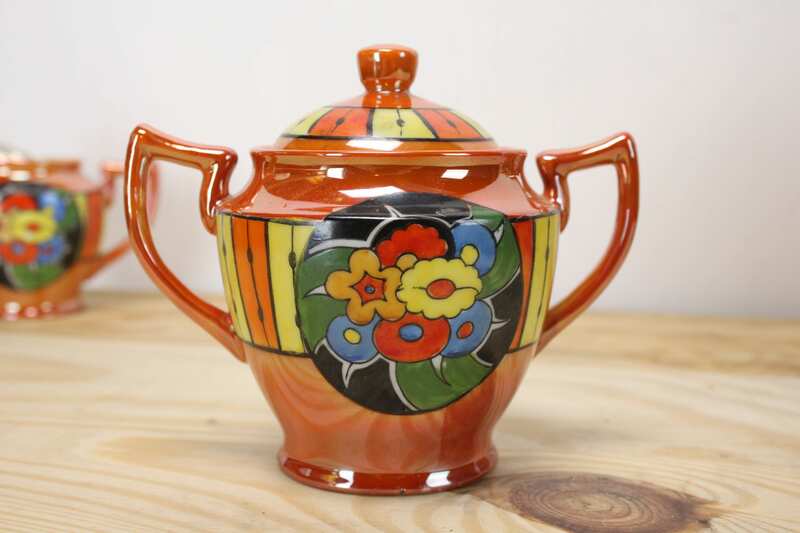 - Sugar bowl: 5" x 4.25" x 6.5"
- Creamer: 3.75" x 3.25" x 4.5"
- Cups: 2" x 3.75" x 4.5"